A bikini for the beach, hiking boots for the jungle and a good bag for the city. Thailand is a country that offers everything, so when it comes to packing you may need help knowing where to start. In our #TaketoThailand competition, you’ve been showing us sneak-peeks of what you’d pack for a Thailand Escape. To help you out, we’ve asked our guest judge, Keyta Hawkins from The Wayfarer, what to expect in Thailand and what the winner should take. I filled my days exploring what the country had to offer. It was my first time solo-travelling in Asia but it wasn’t long before I had adjusted to Thai life and met lots of inspiring travellers from across the world. But, if I had to name one thing in particular it’s the friendly Thai people; they don’t call it the ‘Land of Smiles’ for nothing! I was blown away by the generosity and welcoming nature of the locals who (in my experience) will go out of their way to give you an authentic insight into their culture. I’ve been lost in Bangkok more times than I can count and on many occasions a friendly local came to my rescue by helping me with directions or giving me travel advice. There are simply so many, however Maya Bay is one of them. You may recognise Maya Bay from the film The Beach (which is one of my all-time favourite movies). It was at the top of my bucket list for as long as I can remember so going there was a real highlight. Its beauty is otherworldly. I would love to explore some of the northern regions such as Chiang Mai and Chiang Rai, places I didn’t get to see during my last trip. I hear that they have a milder climate and some lush mountainous regions. Is to bring something that you can document your trip with, be it a camera, a sketchbook or a journal. You are guaranteed to experience some amazing things in Thailand that you will probably want to reminisce about in the future or show to loved ones. Anyone going to Thailand will end up bringing things back from the Thai markets, be it baggy tie-dye clothing or handmade souvenirs. A lot of Thai markets are relatively cheap too, so be sure to leave a bit of room in your suitcase if you love to shop. 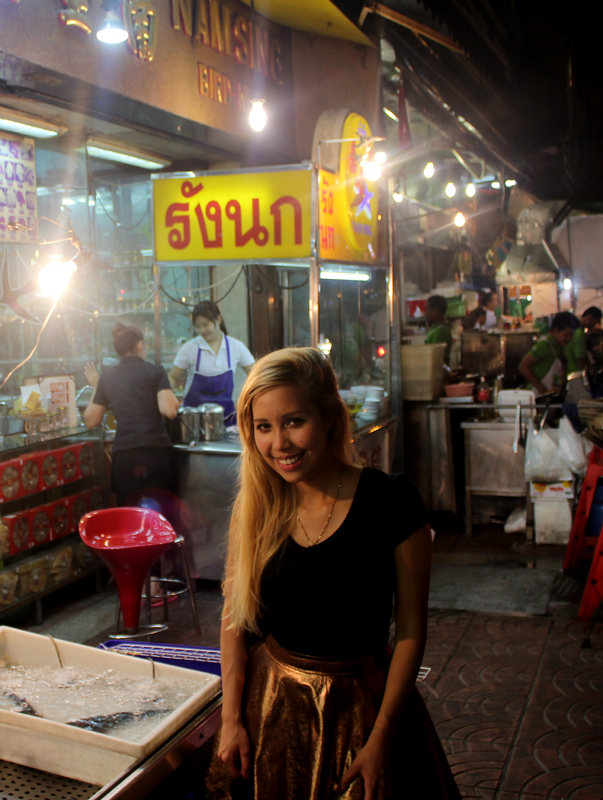 I can honestly say that during the three months I was in Thailand, never once did I get bored of eating the food. 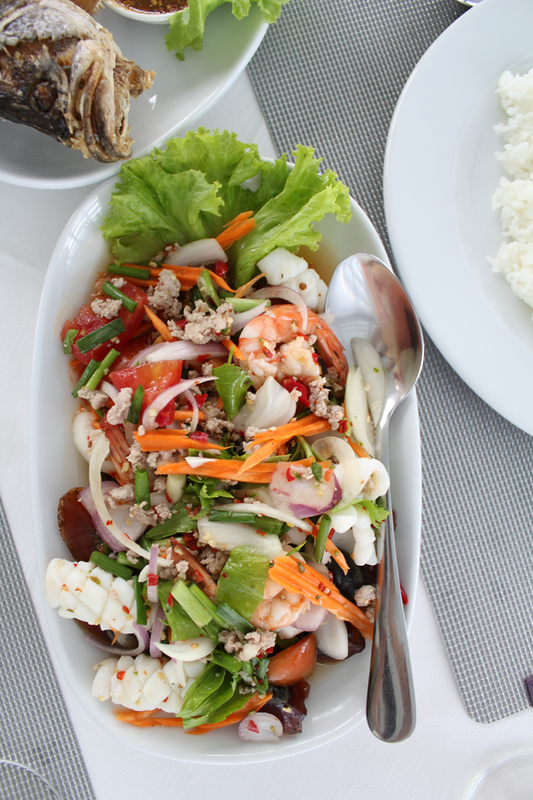 Thai cuisine is ultra-diverse and encompasses a plethora of different dishes. Because of this, I would say that it's one of the top reasons to visit. The food is characterised by a balance of flavours including hot, sweet, sour and salty – making for true taste sensations. What’s more, you can eat like a king in Thailand on a shoestring budget, street food dishes will often only set you back £1.50. If you are adventurous I would recommend dining in venues where the locals eat as this will give you an authentic taste of Thailand. Some of the essential things to try are Pad Thai, a stir-fry noodle dish that is one of Thailand’s most famous and popular. There is no shortage of street food vendors that serve Pad Thai and often they will make it right before your eyes. Mango Sticky Rice is also a great choice. This is a portion of sticky rice served with a generous slice of buttery ripe golden mango and a creamy/ salty dressing. I had heard countless people raving about this dish and when I finally tried it for myself I could see why: it’s delightful. My favourite though has to be the Som Tam Salad, a hot spicy salad made from shredded green papaya. It’s bursting with complex flavour and is a dish of sheer culinary genius. I can't urge anyone enough to try it. To turn up with an open mind and know the basics as Thailand has different laws and customs to us, not to mention a different language. If it's your first time in Asia then it might be a bit of a culture shock at first, so be prepared to take a few days to adjust to the climate. Don't worry though, you will be settling into Thai life before you know it. Delve into the culture and cuisine, try new things and explore to your heart's content! A trip to Thailand can be truly life changing, I know it was for me. What would you #TaketoThailand? Take a photo of what you'd pack and post it to Instagram, Twitter or our Facebook wall with #TaketoThailand. Entry details here.